The disconnect between the customer's experience and their expectations is what makes your clients leave feeling dissatisfied. In the era of social media, picky digital-savvy audiences often expect organisations to respond to their requests around the clock. If your employees can handle the pace, they will be happy and engaged but if they cant keep up with the pace of the demands, they will be left feeling exhausted, demotivated and frustrated, which they affects customer experience and dives your company into a toxic cycle. 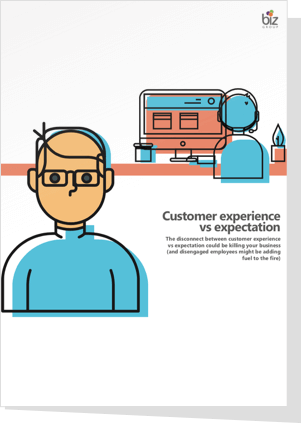 Read our whitepaper to understand how you can breach the divide between customer experience and expectation.